Departing Pakse at 8am from the Xplore-Laos office or from your hotel this tour takes in the full circuit of the Bolaven Plateau. As soon as you leave Pakse the road climbs in elevation as you ascend onto the Plateau. The area of Volcanic Rock makes for suburb tea and coffee plantations which thrive on the rich soil and the cooler climate. 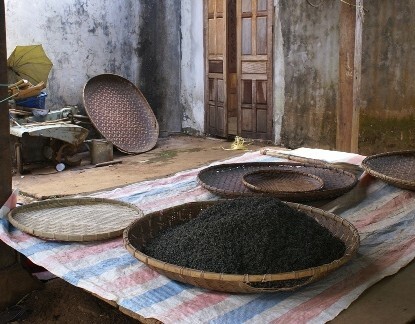 Visit tea and coffee plantations and learn about their processing before carrying on to Tad Fane Waterfall. Tad Fane waterfall sits at an elevation of 1100m and has two stunning cascades dropping 120m off the edge of the plateau. A further 2km from Tad Fane which makes for a pleasant walk or drive through the coffee plantations is Tad Yuang Waterfall which makes a great spot for a swim or a photo. Continue north along the Plateau travelling past Paksong and into Salavan Province. The next stop is the Katu Village of Kok Pung Thai here you can learn about this ethnic group and their tradition of building their coffins before they die. Enjoy lunch before visiting Tad Lo. From Tad Lo spend your time at the waterfall or take an optional walk to a Laven Village about 2km upstream of Tad Lo. Here you will learn about the culture of this tribe and their focus on the centre of the village for spiritual worship. Although you may be tempted to stay on in this stunning place there is one more village stop on this circuit before arriving in Pakse. 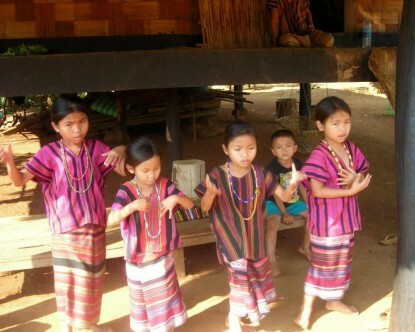 The ethnic village of Lao Ngam is home of the Katu people and has a strong tradition of silk weaving, beautiful cloths on show are for sale and make great souvenirs. You can also watch the local women weaving the cloth. the many. The total distance covered today is 220 km arriving back in Pakse about 5pm. The price given for this trip below is based on 2 people with an English speaking driver acting as the guide. During high season Nov - Mar we do depart on most days and run as a group trip. In this case the cost would be $65 USD per person also based on a minimum of 2 people. For groups of 4 or more we provide a guide and include lunch.